Hope all had a great weekend! I’ve been on call…so not the most exciting weekend, but I can’t complain. Decided to make a more Kid centered dinner tonight, and get the kids involved as well. After I got home, I put together another batch of my Curry Agave Jerky as the first batch did not last very long! I also experimented with some beef bone marrow stock in the pressure cooker, and it actually came out really good! I’ll post on that later after I use it in a soup and make sure it’s suitable. I’ve been pumping the kids up in the last week about the homemade chicken nuggets we were gonna make. Little man bought in right away, while little lady proved wise and proceeded with caution! So here we go. These recipes were based loosly on the Paleo Coconut Chicken Nuggets from Health-Bent.com, and some Latin Fries that I actually turned into more like thick plantain chips. I’m very wise in the ways of the plantain given that I’m Puerto Rican…so I got serious plans for plainains in the future. But I digress…. 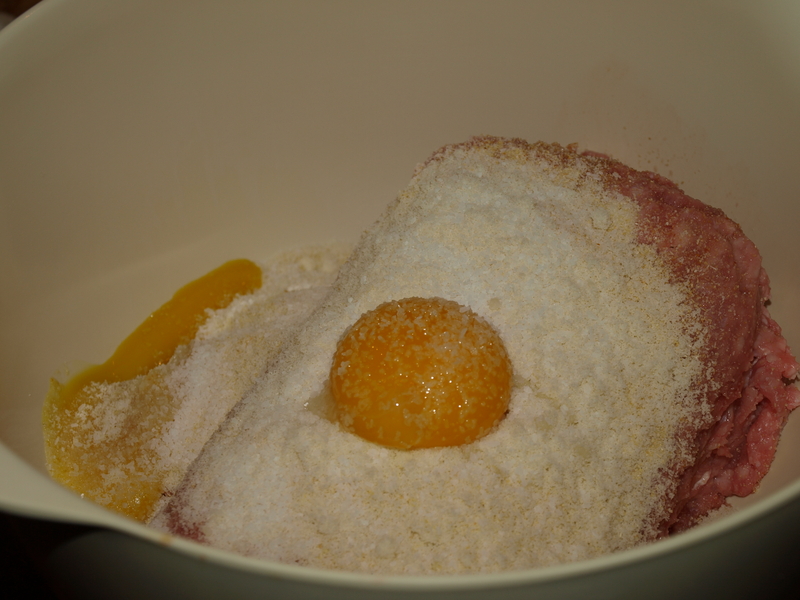 Start by putting 2 pounds of ground veal (yeah, no ground chicken at the store), two egg yolks, 1/2 cup almond flour, a teaspoon each of garlic powder and onion powder, and some salt into a bowl. Mix it all up and ideally, get a 2-3 Tablespoon disher ready. In a shallow plate stir together 1/2 cup of almond flour and 1/2 cup of dried coconut (not sweetened!) along with a little S&P. 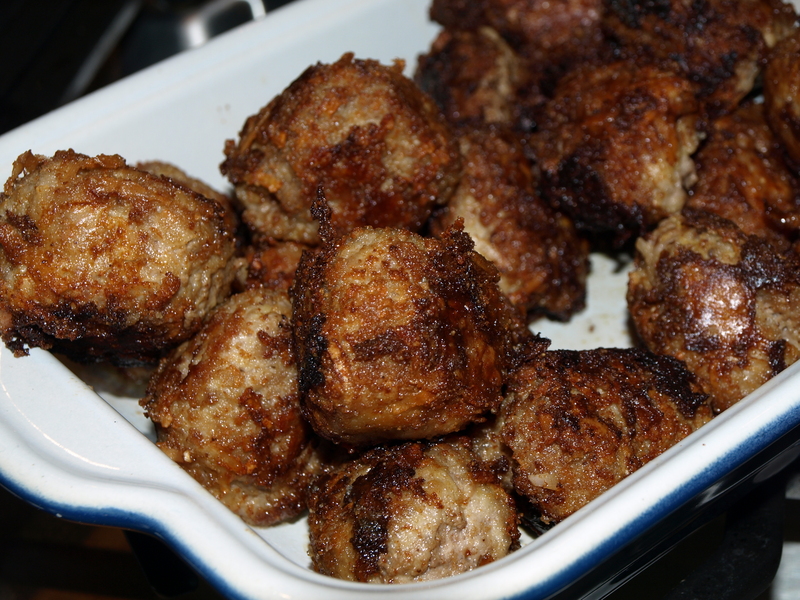 Dish up consistent scoops of the meat mixture, roll into balls, and drop into the dish. 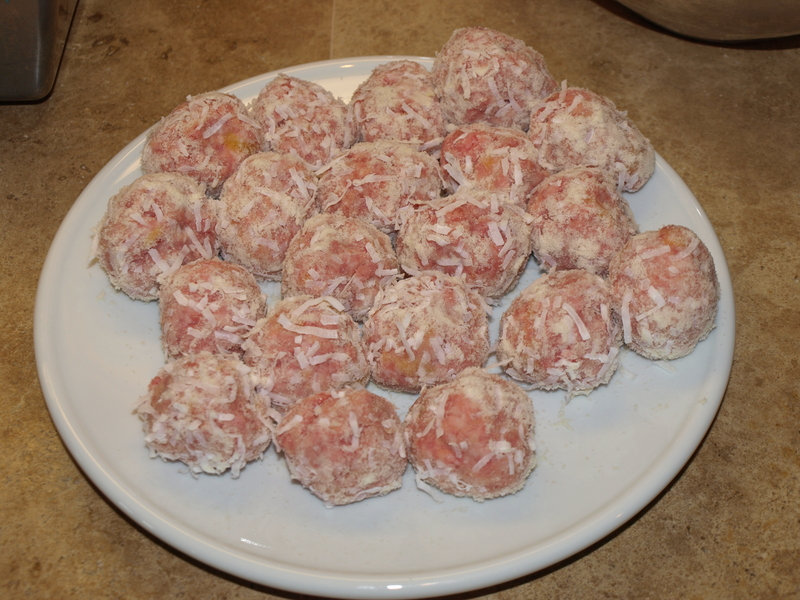 If you have kids, have them roll the balls around to cover in the almond and coconut mixture. 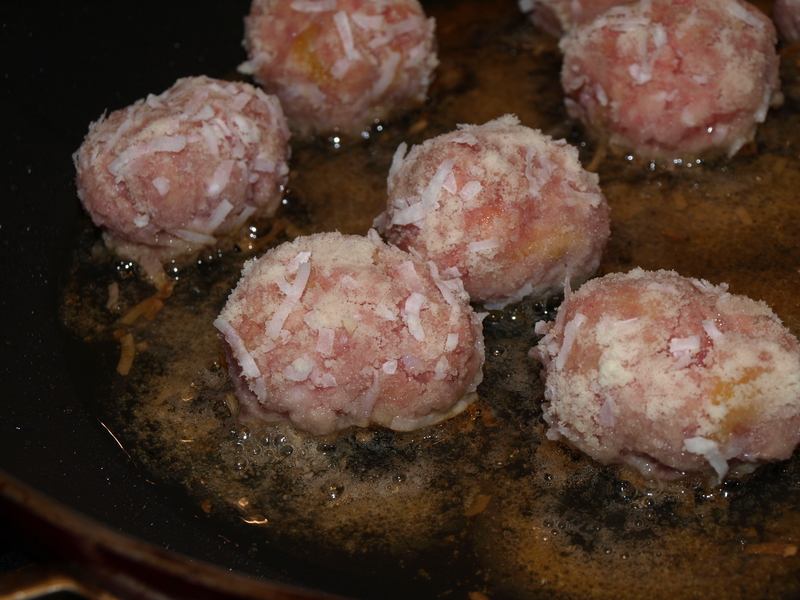 Heat up your FOC (Fat Of Choice) in a frying pan and put half the nuggets in. Rotate every few minutes until all sides nice and golden. A good crisp nugget is key to your kids buying into this whole thing. Once they are done, transfer to a warm holding dish and finish the second batch. 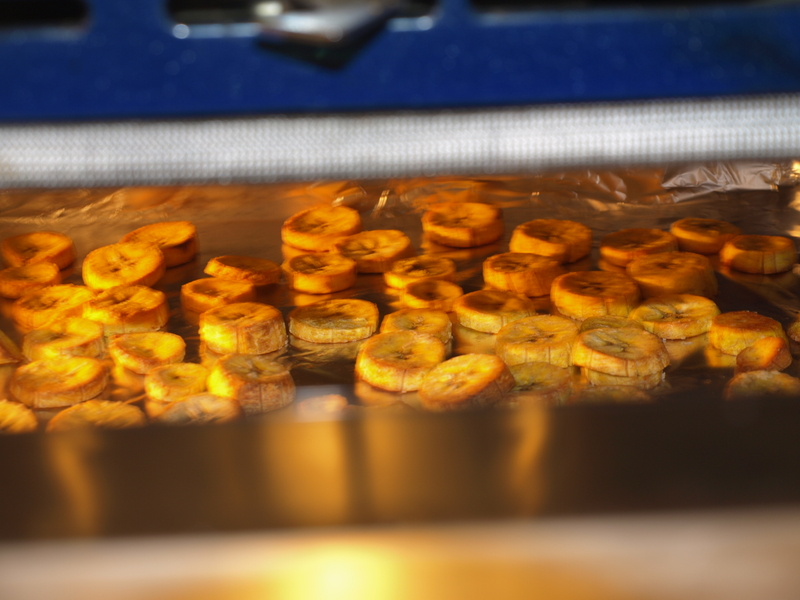 For the Plaintain chips, peel the plaintains and slice them into 1/2 inch rounds. Toss them in some oil (I didn’t use enough this time, and they came out a little dry) and salt. Put them in the oven for half an hour or so till they are golden. The dinner was a hit with the whole family! My always perceptive Syd took one bite of nugget and said “I’ll tell you two things daddy…first, that’s not chicken, second, you can make these any time you want, cause they are delicious.” Like I said, the plainains were a little dry, but we can fix that with more oil. I hope yall try these soon!